The addon's main purpose is providing players a tool to display important and user defined information in a structured, highly customizable and easy to see way on players' screens (look at the screenshot displaying the state of two important buffs). This contains all customizable information about what to display: An icon, a statusbar or plain text. Customize the icon's size, position, transparency, border size,etc. You can display every single icon ingame. aura is active on the specified unit, e.g. "player"). It's also possible to combine several conditions related to different buffs/debuffs. To get an idea of it's current features take a look at the acreenshots attached to this overview. The addon strictly works on a whitelist base: It will only display things that the user specified to serve it's main purpose! Although it can be used as a buff/debuff tracker I still recommend using an ordinary buff/debuff addon such as Srendarr to get a display of every single effect currently active on your character. Width/height [pixels]: Here you can specify the icon's size in pixels. Font size/Font color: Font size and font color for all text to be displayed on the aura. Border size/Border color [pixels]: Same as font size/font color. 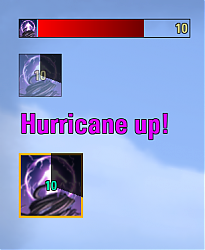 Critical Time [seconds]: As soon as the duration of the abilities specified in the condition tab exceed this threshold, bring the icon to 100% visibility, display the cooldown with higher precision (using tenths of seconds) and color the cooldown text red. Enabled: You can unload the aura without having to delete it by setting this to true. * Aura: As soon as the aura gets displayed, a cooldown will start at 0 and run for 10 seconds (remaining aura display time). * Trigger n: The cooldown animation won't last for the remaining display time, but as soon as the aura gets displayed, it will check for the duration of the ability specified within trigger 1, ignoring all other triggers. In our example this ability has a duration of 30 seconds. The aura will display as soon as the ability has 20s left. The cooldown spiral will not start at 0, but it will already have travelled 1/3 (20 of 30 seconds) and travel for another 1/3 of the icon (10s) before the icon fades. I sugget you play around with this setting a bit to get an understanding of how it works. * Trigger n: Automatically take the ability icon of the ability that has been specified in Trigger n.
* Manual: Select the icon manually. Trigger Type: This specifies what the current trigger is checking. * (De-)Buff checks a buff or debuff on the target specified below. * Ability used is for checking ground effects: Let's take the Inferno Staff's elemental blockade ability as an example - the ground effect has a duration, but it is not treated as a buff or debuff on you or a target. So the game has to check if you just used an ability matching the ability ID specified below. If that ability has a duration, display the aura for that time. *Combat Event is for checking for buffs and debuffs using the combatlog. There are some effects ingame that can be put on you without being recognized to be a buff/debuff by the game client. An example would be the 2nd boss on Maw of Lorkaj: As u might know, the boss puts an effect on you, that makes you either being on the "light" or on the "shadow" side. Those effects are not displayed as a debuff (and hence not detected by srendarr and other buff/debuff trackers). But you can workaround that by checking the combat events and simulate a buff/debuff. This Setting is for professional users only, as you will have to pick the effect IDs from the combatlog. Ability ID: A numeric value that identifies a specific buff, debuff, effect or ability (which one is looked up is contextual to the selected trigger type). * player: Check for the ability specified above on your character. * target: Check for the ability specified above on your current target. Check all Ability Ids: All abilities consist of one base ability and two potential morphs (using different names) with 4 ranks each. That results in 12 ability IDs for one ability. Let's say you want to track a debuff on you. Due to the fact that you never know an attacker's ability rank you would normally have to create one condition for every ability ID. This can be avoided by simply entering one of the four ability IDs for the desired aura and switching this control to "true". WARNING: Due to Zenimax not having properly localized all ability names, this might sometimes not work. "Display the specified icon as soon as proximity detonation's buff on the player is active (duration > 0)"
conditions as you like, but watch out that they make sense! Contradicting conditions will cause the icon never to be displayed! Selfcast only: If this is set to "true", only effects that have been cast by you will be taken into consideration. The addon is configured via so called slash commands. Those commands are typed directly into the chat with a '/' infront of them. "/am": Display the configuration menu. "/am unlock": Make every aura movable. "/am lock": Make all auras unmovable and lock them to their current position. "/am abilities": Enable this to display information on every ability the player uses. Thank you for testing, please report any bugs you encounter using the comment system. - implemented ZOS's new ability manager object to fetch action bar loadout data after loading the addon. - reworked the aura naming system to fix some problems that occured when an aura was created, deleted and recreated afterwards. New auras always contain their aura type in their new placeholder name after being created. - new functionality: aura groups. Auras can now be grouped into custom groups for a better overview. All ungrouped auras are grouped under the group 'Ungrouped Auras'. This group cannot be deleted. - aura groups can be exported/imported as a whole, so exporting/importing auras is now much easier. - new aura functionality: play sound on trigger / on untrigger. - new trigger functionality: 'action results'. Auras can now be triggered by ANY combat event (ranging from 'player put down a siege weapon' to person xyz got hit by a light attack from player/npc abc). Existing auras will be converted to maintain their current functionality as action results are a required field from now on. - fixed several nasty bugs that prevented 'load in combat only' functionality from working properly. - fixed a wrong LAM implementation that could cause errors if no other addon was installed that used and loaded LAM properly. * COOLDOWN animations (spiral) for Icons! is there, by any chance, a possibility to get a notification when the Crystal Fragments skill procs? (Sorcerer, Dark Magic skill line). Of course. You get a buff on your character, when you get the proc. How do I get an actual progress bar that moves for auras? I can't seem to figure it out. I see what looks like one in the screenshots, but regardless of the settings I select, any progress bars are just a solid color with a number on the right side. Maybe I'm missing something really obvious? Either way, great addon, it's really nice to finally be able to create my own alerts with my own conditions rather than just be limited to a progress bar that only shows a duration like other addons. Thanks. edit: I figured it out. Duration source was set to "Aura" instead of "Trigger 1", so it was showing a duration on the bar, but no moving progress bar. Changing it to Trigger 1 finally made the progress bar show up. I do have another question though. How do I get a color gradient on the progress bar like in the screenshot on the addon page? Thanks. Last edited by ecru : 03/26/19 at 05:16 AM. The ability id for the minor force buff you receive from the channeled acceleration skill is 6 digits long (103708) and i have not been able to create an aura from it. Using the ability id for the minor force buff received from the trap beast skill does not create an aura that works with the channeled focus skill. I have tried to create an aura based on an ability used and an active buff. Please advise. Check "Check all ability ids" for the channeled acceleration trigger, it will trigger based on the name then. This will only work though if the minor force buff received from CA has the same name as the one received from trap beast. Tried that and the aura still won't turn on when I activate Channeled Acceleration. Using id´s make it more flexible, there are extensive lists of all ability id´s for example wich i link in a second. Example: Elemental Wall has a useless id in combatmetrics/other addons that show id´s. Thats why working with id´s is superior. I can agree if u just use it for that basic buff stuff. Still, i like id´s more since it also offers a ****load of customization options with enymy effects/skills (pve trials). Using ability names has a big disadvantage: If there are two abilities that have the same name, you cannot specify which one to track. Some buffs give a buff and several other buffs and they all share the same name. Last edited by Letho : 03/02/19 at 03:10 PM. Please try a clean install of the new version (save your svars for auramastery somewhere outside the ZOS folder), I cannot reproduce that problem. I think I have identified what cause the errors: having an empty slot on my skill bar. May I ask if you are able to reproduce it? Argh! Good job, thx for reporting! Will be fixed this evening, after testing. Thanks for the quick fix, much appreciated! Can confirm it. Empty skillslot produces the error. I installed with Minions, deactivated all other add ons and startet the game new. I still get these 3 error messages if i get into the game. I did not change any option in your addon only installed it. It seems to be the same issue that the person before me reported. ANd i cannot get into the configuration menu with /am it do not know that command. Moved all other addons out of addon folder still the same issue. I have just done the same and it works flawlessly for me. Please download the latest version (recently updated) for Wrathstone and tell me if it works now. I have no clue what causes your issues.